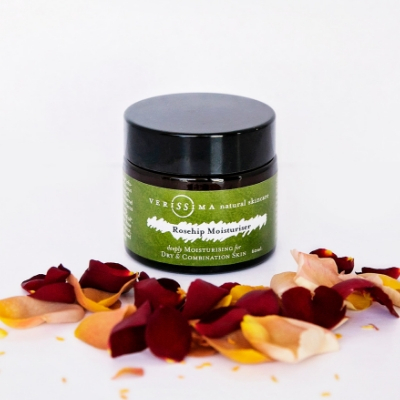 We've had such wonderful and heartwarming feedback from many customers on how our Rosehip products have helped them overcome conditions such as dry flaky skin on their face, old acne scarring, breakouts and oiliness. How they now feel comfortable in their skin, have got their confidence back and no longer cover up to go out. WOW! Now you can purchase them as a bundle. ACNE SCARRING SOFTENED AND IT’S REDNESS REDUCED IN 2 WEEKS | VERISSIMA NATURAL SKINCARE | AUSTRALIA from Verissima Natural Skincare on Vimeo. Skin is not looking or feeling it’s best? Feel like you want to cover it up? It’s ok, it’s quite common to feel like this when you have breakouts, or your acne scarring is red and sore, or your think your skin looks like you’ve been leaning over the fat machine in a fish and chip shop all day! 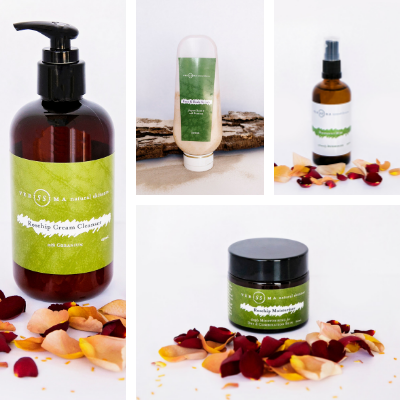 We’ve had such wonderful and heartwarming feedback from many customers on how our Rosehip products have helped them overcome conditions such as dry flaky skin on their face, old acne scarring, breakouts and oiliness. How they now feel comfortable in their skin, have got their confidence back and no longer cover up to go out. WOW! Soothing Rosehip Moisturiser for Problem Skin – use daily to replenish your skin, to re-hydrate and have it feeling fresh each day. 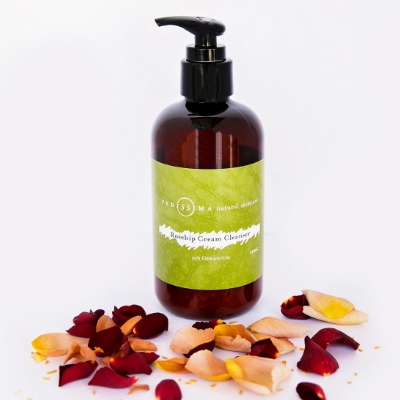 Rosehip Cleanser with Geranium/Lavender – use daily, either in the shower as a general cleanse or to cleanse off your makeup to leave your skin feeling clean. Use with a microfiber makeup cloth, others on it’s and just one application is enough, some cleanse twice. 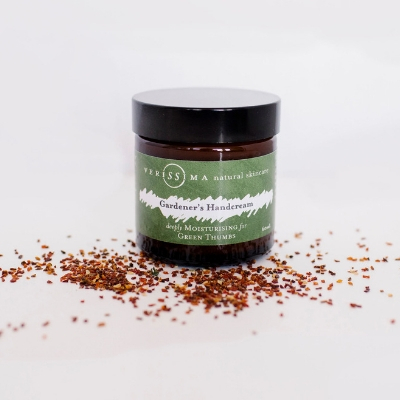 Invigorating Face and Body Scrub With Volcanic Pumice – use this once to twice a week on your face, more often on your body if you wish. 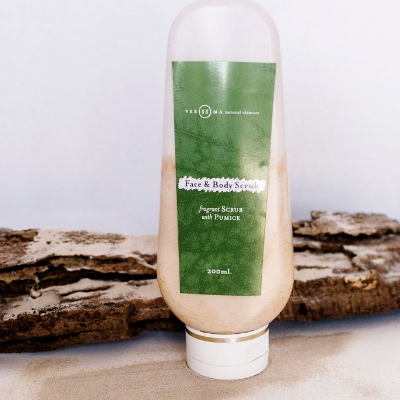 The extra exfoliation that the fine pumice provides allows for the dead skin cells to be removed allowing your moisturiser to replenish the cells. 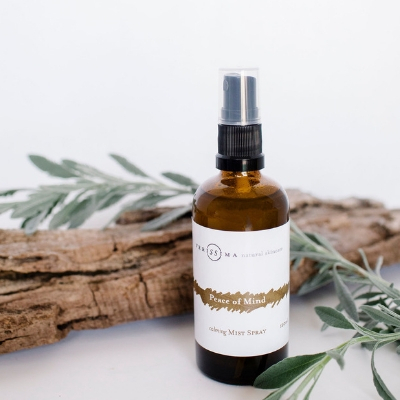 Refreshing Rosewater Face Mist – for those who love a toner, this is what I recommend. 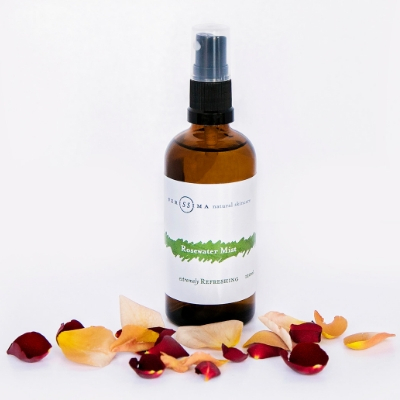 Our Rosewater Mist is made from certified organic ingredients and is absolutely amazing at refreshing you, anytime of day anywhere. As part of your essentials pack, give you face a spritz after finishing your cleansing routine. Amazing!